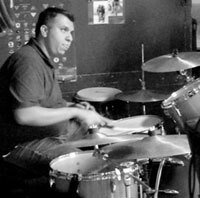 For nearly fourteen years now, the Yuma Jazz Company has brought cool jazz stylings to Southern Arizona. The lively group got its start in 2002 under the efforts of trumpet player Steven Hennig. 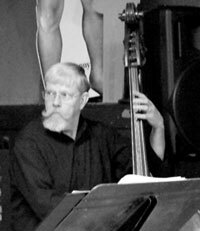 Since that time, the Yuma Jazz Company has produced three original CDs, performed in several regular music series around town, and worked to raise awareness of the jazz genre by hosting guest jazz performers at its events. Among the jazz quintet’s many projects, the group is currently involved in several projects including the Village Jazz Series, Jazz Nights at Julieanna’s, and the upcoming Lutes Summer Jazz Series. 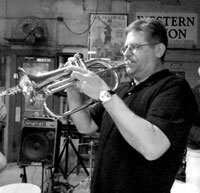 Hennig leads the band with his work on trumpet, which he mixes up with the flugelhorn to add color to the group’s improvisational style. Hennig is joined with Brian Carlson on tenor and alto saxophone, Carl Posch on guitar, Jon Knudtson on bass, and Brandon Coz on drums. The group’s debut album Shades After Dark was released in 2004 and was followed up by 95 North in 2006. These two albums feature a total of 15 original songs composed by trumpeter Steven Hennig. The ballads “Early Morning Low Clouds” and “Another Emotional Cul-de-sac” are among Hennig’s favorites on these two albums. “I like all the tunes, but these are emotive in themselves before any improvisation happens,” says Hennig. 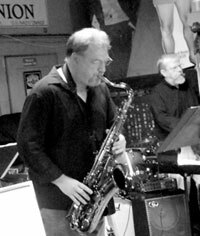 In 2010, the quintet took a different approach to jazz with the recording of the group’s newest album Street Scene. Hennig composed four compositions and jazz guitarist Carl Posch wrote the other three songs featured on the recording. Posch also created the art for the CD cover. 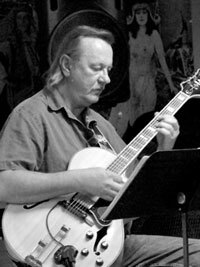 Some of Hennig’s influences include Benny Golson, Oliver Nelson, and Billy Strayhorn. “The atmosphere there is one for dinner music, subtlety…the understated aspects of jazz,” says Hennig. The Village Jazz Series also recently kicked off and will feature the Yuma Jazz Company several nights during the season. The Village Jazz Series was originally organized by Steven Hennig and is presented by Yuma Palms Regional Center. The 15 concerts in the series started in mid-January and will continue every Thursday night through April 24. The Yuma Jazz Company is scheduled to perform at the series on January 23, March 6, and April 24. Other groups featured during this year’s series include nationally or internationally known musicians including the Los Angeles-based Ron Kobayashi Trio, the Phoenix-based Joe Amos Quartet, and world-renowned jazz guitarist Peter Sprague accompanied by San Diego vocalist Leonard Patton. The series is sponsored by the Yuma Sun, Hampton Inn Suites, and KAWC FM/AM, which broadcasts highlights of each concert in the one hour “Best of the Village Jazz Series.” As part of the move to bring awareness of jazz to the community, the Village Jazz Series also offers a $1,000 scholarship to a Yuma area high school senior music student interested in pursuing an interest in jazz in a college setting. Over the years, the group’s style has stayed centered on their original tendencies, but their techniques have been evolving over the years. In addition to regular gigs at Jazz Nights at Julieanna’s and scheduled performances with the Village Jazz Series, the quintet will also be performing at Lutes Summer Jazz Series this summer. The group is currently in the planning stages of a new recording session and is booking performances across the Southwest. Hennig looks back at the progress the group has made over the years with a sense of appreciation.